Children are welcome at many events at the annual Montreux Jazz Festival while free child-care facilities are available for parents attending concerts and jazz clubs. Children are generally welcome at the annual Montreux Jazz Festival. Although the headline concerts are very much aimed at adults, children over 6 may attend many performances. Special workshops are held for children while young people can meet each afternoon and evening in a special alcohol and smoke-free venue. Free child-care facilities are available for concert goers and night clubbers. Various activities, free concerts, and free child-care facilities help to make the Montreux Jazz Festival a surprisingly family-friendly event. However, several sensible restrictions are applied at the various concert venues and events. Children under 6 years old are not allowed into any concert venues. Children under 16 must be accompanied by an adult – no discounts are given on child tickets. Children under 18 are not allowed in the nightclub venues, including the Montreux Jazz Café (after 10 pm), Studio 41, the Cocktail Garden, and the special Montreux Jazz Boats cruising on Lake Geneva. The free Kindergarten is at the German church, directly across the road from Music and Convention Center in Montreux. Child care is available for up to four hours at a time for children aged 3 to 10. The free childcare facilities are open daily from 2 pm to 1 am (2 am on Friday and Saturday nights). 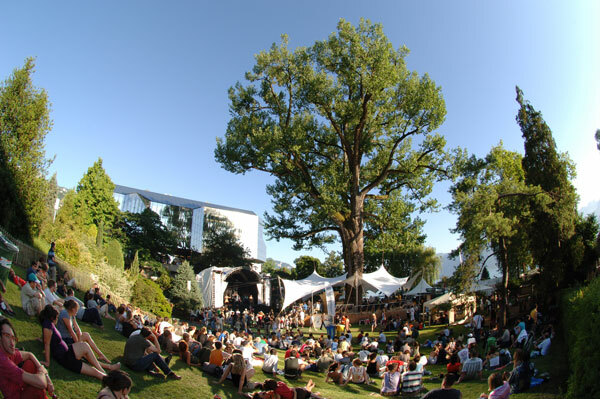 Various events at the Montreux Jazz Festival are eminently suitable for families and children. The free open-air concerts staged every afternoon in the park are particularly welcoming to families while special workshops are also aimed at children. The Montreux Jazz Young Planet is a special free venue for young people. It is open daily from 2 to 11 pm and is both alcohol and smoke free. Montreux Jazz Young Planet is on the lakefront promenade at Rouvenaz. Montreux has a reputation for being a very posh and upmarket town but it also has surprisingly many play areas for small children. These play areas are along the lake front promenade, as well as scattered throughout the residential town. The nearby medieval Chateau de Chillon Castle is popular with children of all ages. Montreux Christmas Market – worth coming back to Lac Léman in winter!